"Society of the First Dime"
US59 - "North of the Yukon"
US60 - "The Phantom of Notre Duck"
US61 - "So Far and No Safari"
US62 - "The Queen of the Wild Dog Pack"
US63 - "House of Haunts"
WDC 308 - "The Beauty Business"
OWNER OF AN ORIGINAL PAGE ? The story of the "Society of the First Dime"
..Yes - You`re right ! - This guy is NOT Carl Barks..! This is John Bullis from Las Vegas who together with Mike Baron back in 1968 founded a little club called "The Society of the First Dime". Other members of the club was other Madisonians from Wisconsin University. 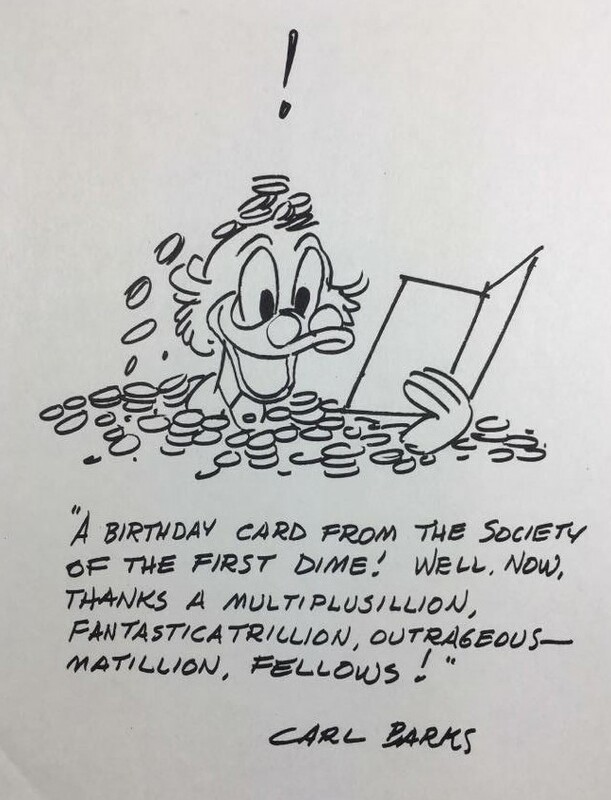 Back in 1968 John Bullis asked Carl to make a "Portrait drawing" of Scrooge McDuck for their little club. 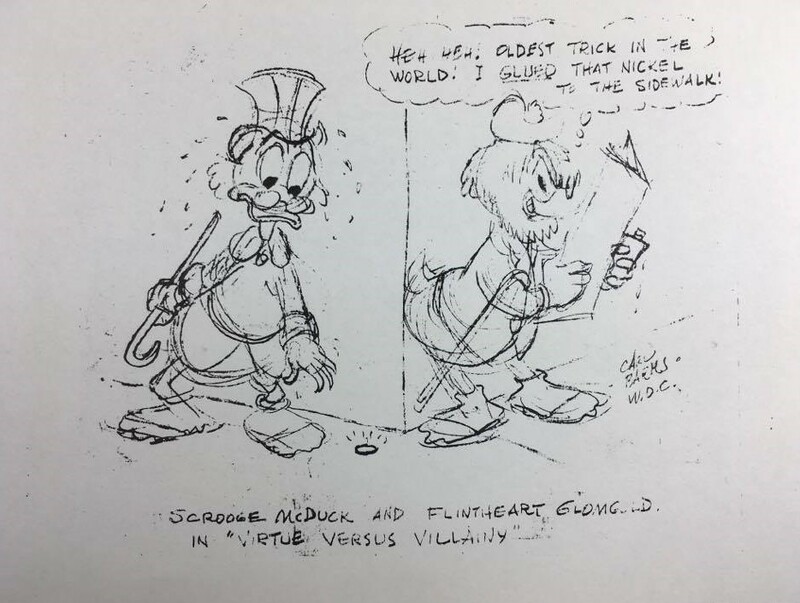 The original was sketched in blue pencil on Carl's stock comics cardboard (with his rule marks), just like the comic art, and then inked in for the finished work. 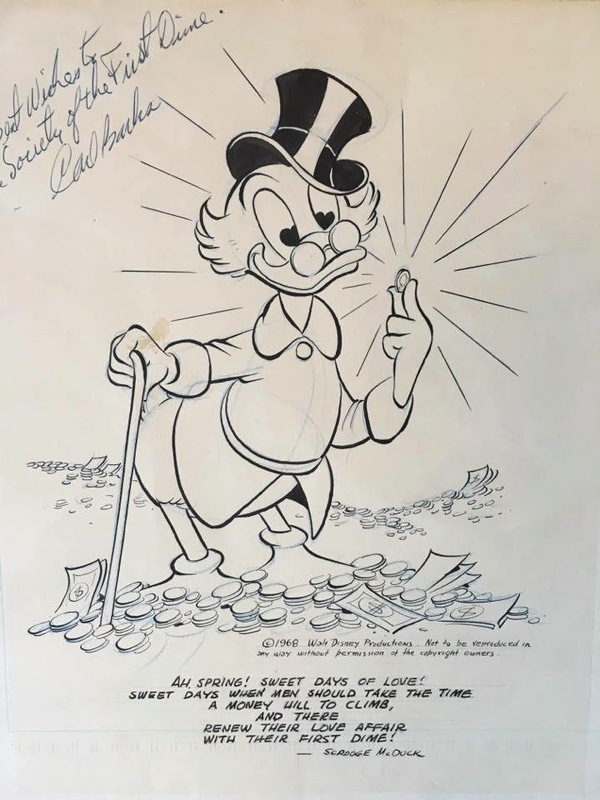 Distinguishable from the renegade copy by a copyright notice Carl inked below Scrooge's left foot, not seen on the copy. Size is about 8 1/2" by 11". John Bullis was so kind to pass the extraordinary fine drawing to me after nearly 50 years in his possesion. To honor Carl Barks I have therefore decided continuing the tradition with the society inspired from the first one..With newly permission from the original founders the name of the club will still be : "The Society of the First Dime" and will contain only members that has owned or still own original comic book art by Carl Barks. The founder of the First Society, John Bullis is appointed as a member of honor of the new 2017 founded Society. Of existing fan drawings made by Carl Barks none of it compares with the “Society Portrait”, which in my own noble opinion is one of the best.. The Poem to the First Dime ! 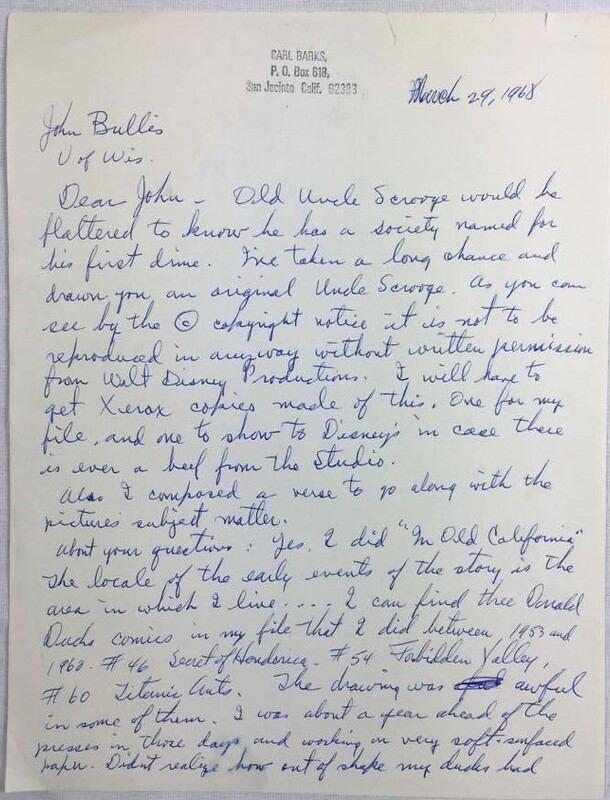 In the letter that accompanied the drawing, Carl indicates that he was taking a long chance in drawing it for the Society, because in 1968, he was unsure of the support he might have from the Disney studios in such endeavors. Remember that Barks had retired drawing comics for Western about 2 years earlier the making of the “Society Portrait”. 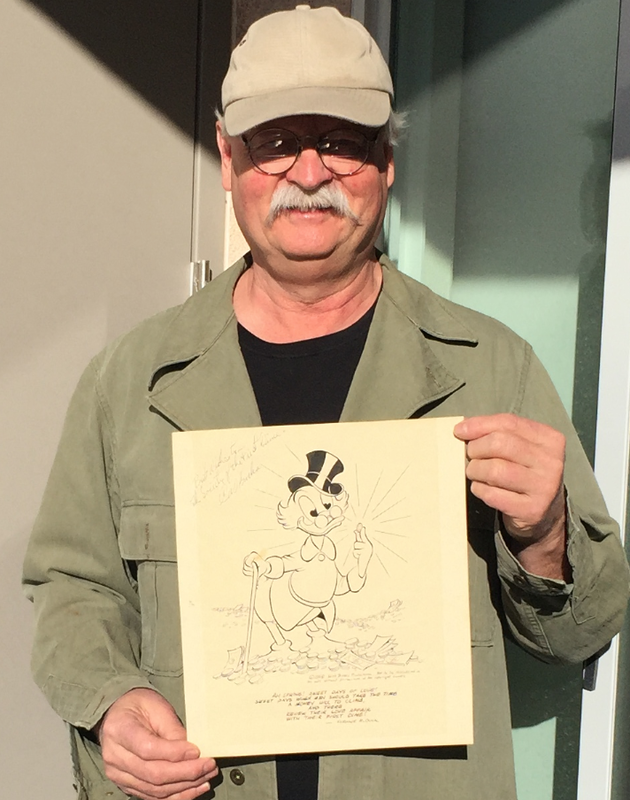 Many thanks to John Bullis from “The Society of The First Dime” for taken care of this unique drawing for nearly 50 years and for passing the baton to me for being the new custodian of this masterpiece. Barks also made a nice little poem beneath the drawing. 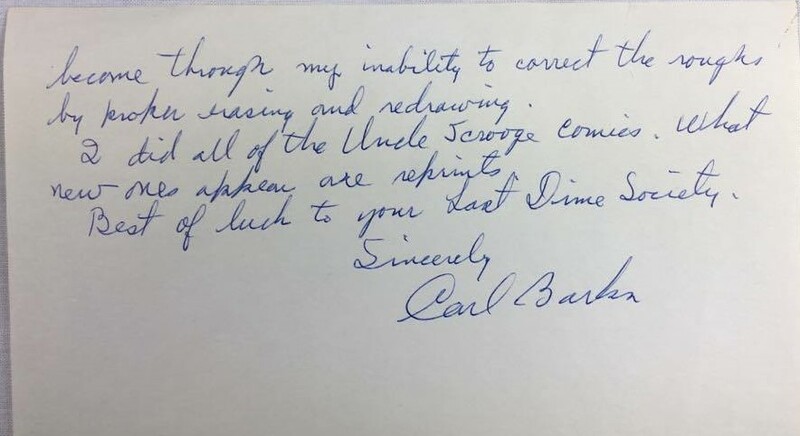 Here you can read the letter that Carl wrote to John Bullis, who was the founder of the "Society of the First Dime". Carl was a bit nervous making the drawing because he didn`t want to have problems with Disney. He retired mid 1966 and made the drawing for the society in 1968. 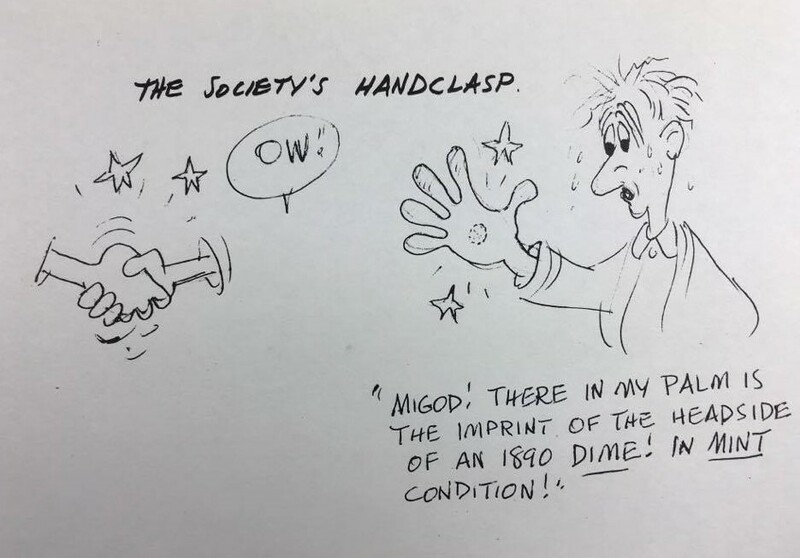 Here are some nice sketches that Carl made for members of the "Society". Some of them has never been published before..! 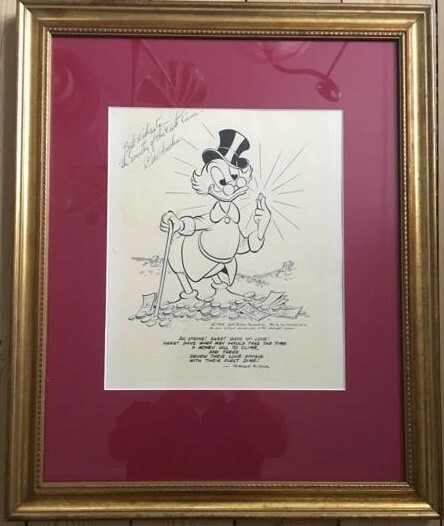 The portrait drawing of Scrooge McDuck - glassed and framed - 2017. 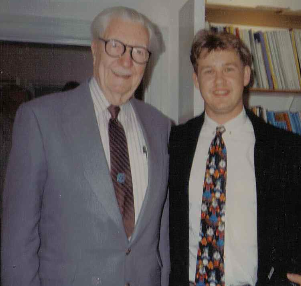 "The Master & the webmaster"
My meeting with Carl Barks in Copenhagen in the summer 1994. 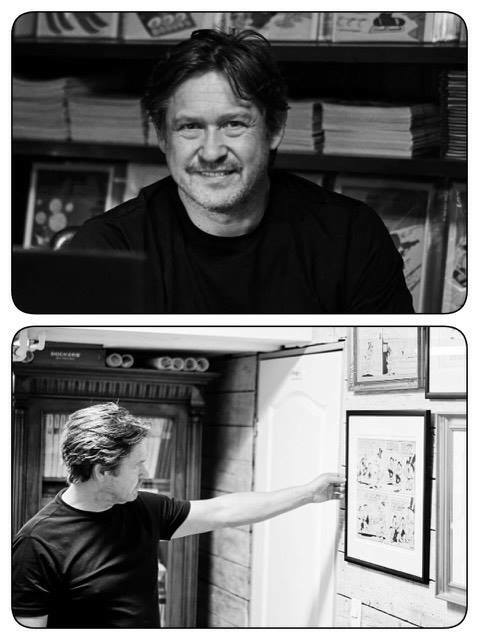 My name is Søren Marsner from Denmark and I have been collecting, buying and selling Comics and Comic art for more than 40 years. 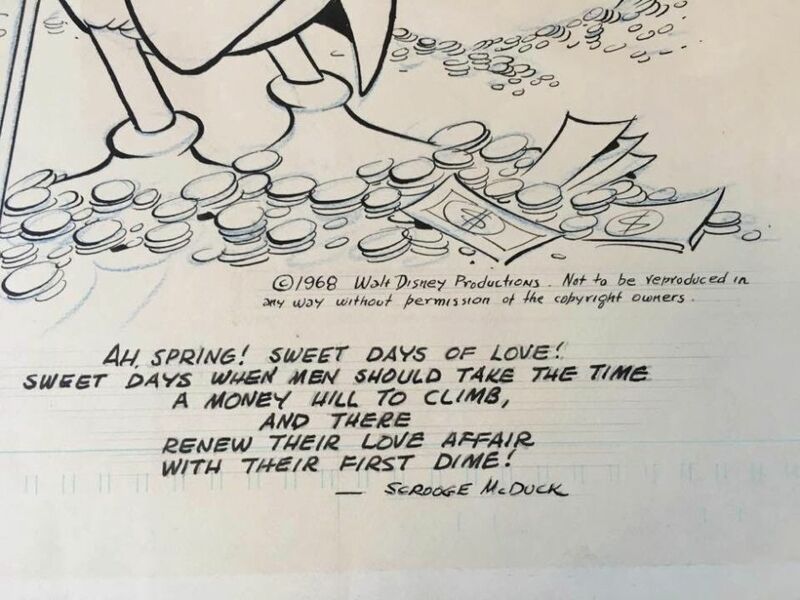 The original comic book pages and covers made by the legendary Carl Barks - also known as "The Good Artist" - has my highest attention. To this day I still try to find new "lost" artwork to be presented on this website. If you know anything about survived artwork By Carl Barks please let me know. If you own original pages, please send me an email. I would be honored to show a picture of them on this website. A very deep and special thank goes to Matti Eronen from Finland whose printed book : "Carl Bark`s Surviving Comic Book Art" from 1994 has been the inspiration behind this website. Without Matti`s kind assistance and knowledge this project has not been possible. Again - Thank you, Matti for alloving me to use a big part of your printed material. Thanks also go to : Kim Weston, Michael Barrier, Geoffrey Blum, Thomas Andrae, Hans K. Pedersen, Joakim Gunnarsson, Øystein Sørensen, Are Myklebust, Goran Broling, William Brignone, Monty Bali, Patrick Block, Andrea Cara, Per Vedin and Carsten Laqua for their contributions and great inspiration for the making of this website.